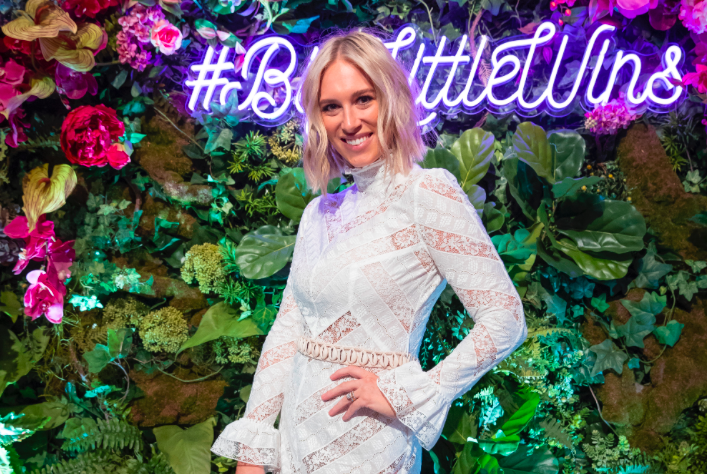 Australian bone health brand, Ostelin, has launched #BigLittleWins, a new brand campaign in partnership with brand ambassador, Phoebe Burgess – mum to Poppy and Billy, and wife of NRL great, Sam Burgess. The campaign was developed by Publicis, Haystac and Mindshare. The campaign aims to encourage all Australian women to recognise their hidden strengths every day, regardless of how big or small the achievement. These moments of strength are being coined as Big Little Wins. Ostelin felt the need to raise awareness and aspiration for Big Little Wins following research commissioned by the brand. More than 86% (87.5%) of Australian women acknowledge it’s important to celebrate strength for overall health and wellbeing, yet only 1 in 10 do this every day. Speaking today at Sydney’s stylish Beta Bar, the venue of the official launch event, Phoebe Burgess said she was thrilled to be working with Ostelin as the official brand ambassador. Says Burgess: “It’s an incredible opportunity to raise awareness about the importance of bone health and empower women to recognise and celebrate their strengths. “Being a mum, I feel a sense of achievement in the small things, like leaving the house on time, or just finding some “me” time amidst the chaos. The socially led campaign has earned and owned media supporting the amplification, with channels spanning across public relations, digital content creation, ambassador engagement and social media. Says Anita Jelley, senior brand manager, Ostelin: “We want to resonate with all generations of women and provide them with the knowledge to understand their bones and recognise their strength – physically and emotionally. “A staggering 73 per cent of Australian women don’t get enough Calcium from their diet alone, while from online research it was found that almost half of Australian millennials do not know that Vitamin D may boost Calcium absorption. Capturing a loyal following of Australian consumers for many years, Ostelin is a brand that is taking on the challenge of fortifying the next generation’s bone health. The brand has invested heavily in media and has ramped up public relations to drive conversation around bone health with Phoebe Burgess at the helm. Burgess has committed to a range of ATL and BTL activities for the remainder of the year.